Food only. 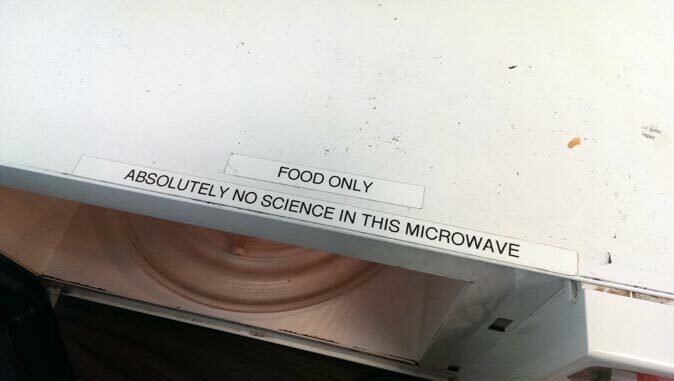 Absolutely no science in this microwave. Created about 5 yrs, 4 mths ago (December 7, 2013). Updated about 5 yrs, 4 mths ago (December 7, 2013).